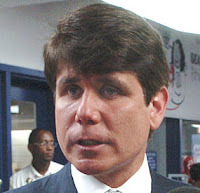 Repeatedly talking about how many people are talking about Rod Blagojevich is creating a feedback loop that threatens the very existence of the space-time-douchebag continuum. Please stop before we're all destroyed by corrupt toupees. Etta James gets it--Why doesn't everyone else? NOW That's What I Call Evil!